The Wilson Tour Juice backpack is the ultimate transport solution for professional players and coaches. It makes keeping everything you need on court in order easier than ever. It comes with big back compartment with inner space for laptops, pens, and phones, as well as front compartment with organisation system for accessories such as wallets or mp3 players. Large bottom tunnel pocket allows keeping shoes and dirty clothes separately which is essential for hygienic reasons. It also features back racket compartment that can hold at least two rackets with handles sticking out. 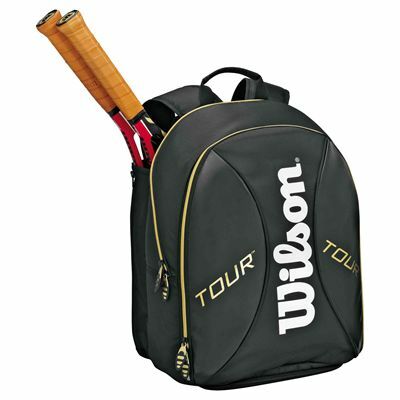 for submitting product review about Wilson Tour Juice Backpack.